made out of vintage fabric... i call her " with a splash of lime" and she's available in my shop. it's been a while since i made the little one a dress. this one makes me happy. yellow just seems happy doesn't it? 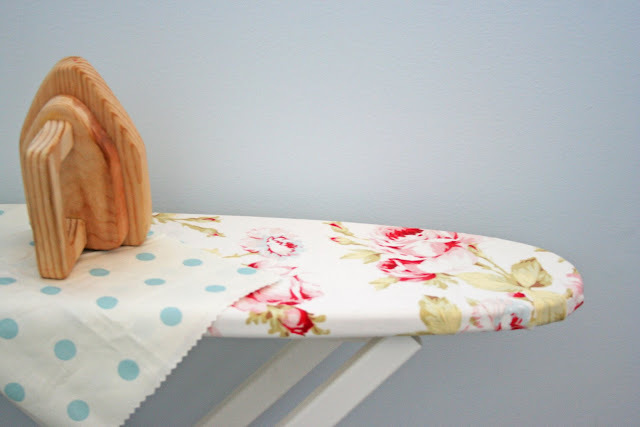 this cute little ironing board was plain wood when i bought it. i painted it and put a cover on it. now i just have to decide what color for the iron...i was just going to go with white...but then i thought red...then i thought BLUE. and so there it sits because i CAN'T MAKE UP MY MIND. yet again. go on...give me your suggestions. we had visitors this weekend. my sis in law and her family came to spend time with us. we hiked, ate, laughed, ate some more and watched 4 boys run as a pack together everywhere they went. i don't even want to know what it's going to be like to have boys once they hit 15+ years of age. i mean can a house handle it? love the blue for the iron! That ironing board setup provokes a wonderful feeling of nostalgia and longing in me. I think your iron would look great in blue! The lime and blue rug is my favorite. It just looks fresh! Love it all V. Red for the iron. The dress is adorable...great repurpose. I think the iron would look cute in the green of the leaves in the cover. I looked back at your before and afters...maybe the green from the buffet redo or the dresser. Oh well, my 2 cents. Any color would look cute! Pink. If you have to iron you should beable to do it with a pink iron! love the splash of lime rug!!! oh and you seriously HAVE to paint the little iron red. p.s. just imagine if your boys at 15 were quileute boys. talk about a shaking house. okay...i'm stopping...the twilight obssessed is leaving the building. Oh that rug, I need one. I would go for red iron. I am looking for one of those ironing boards. So retro. I think red would be my first choice and black as the second. I like to think either of these would make the iron "pop" as they say. very very cute dress and the sweater too. hey v! your house will barely survive it when they get older. my boys are 4 8 11 and 14. mine is still standing, but they take a toll on it that's for sure! I think red for the iron. The rug & dress are darling! I only have one boy, but 3 kids... and sometimes I wonder if our house will survive, lol. It's already loud in here, I can only imagine when they are older & heavier! We have wood floors, plaster walls & the house is off the ground, so everything is amplified. But the house is 47 years old, so I guess it will hold up after all. A red iron, with glossy paint so that it shines. I am loving that fabric on your ironing board...the one with the flowers. I can't find anything like that local. Is that Cabbages and Roses fabric? Oh, and definitely red for the iron. I love a pop of red anywhere. Love the rug you made. 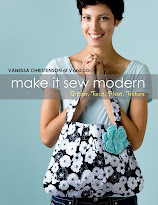 I saw your tutorial and sometime this summer I am going to have to splurge on some yummy fabric and make me one. All those boys and you still got that much done....impressed! Robin's egg blue for the iron. Love that color right now. I think you should paint the iron silver with a shiny black or red handle. I would also add a dial or some type of detail for the heat setting with a paint pen. Love the rug...and the dress...and the ironing board cover...and I'm thinking blue!!! Love the rug, and that sweet yellow dress! 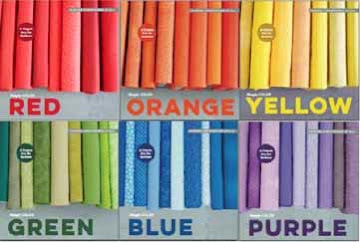 I'm thinking blue for the iron, can't wait to see what you decide. I love all your finished projects! My first thought was that 70's color of green for the iron....splash of lime I mean. I love the rug, and the rug's name. I say red too. But then that;s my go to color lately. 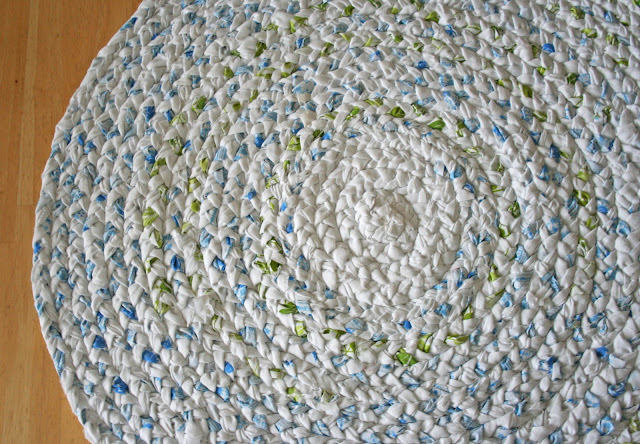 I'm tearing up an old white rug today to start my rag rug! Thanks for all of the great ideas! What great projects. Love the dress. I remember the days when I would make things for my children (they are grown now). I think the iron might look good in white with a few red and blue flowers. ooooooohhh! I love all your completed projects! The ironing board is so adorable - maybe you could use more than one color on the iron - maybe make it look a little Rowentaesque? I love that rug. I have been wanting to make one, but haven't found the sheets I want to use yet. I can't wait! 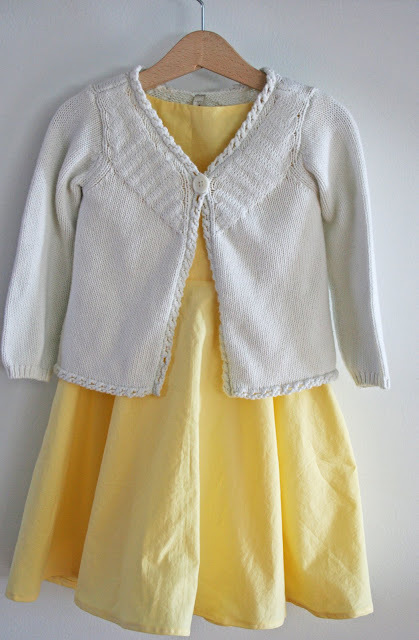 Omigosh, that little dress is too cute and precious! I vote blue for the iron, I think it would look lovely with the ironing board. Oh I love love love the dress. Maybe I should make Easter dresses this year - thanks for the inspiration! hey v...i wanted to tell you that those rugs are washable in the washer...i didn't know if you knew. i made a couple of them a long time ago and they washed up great. :D cute, cute dress and of course it's made out of a sheet you amazing girl. Blue for the iron! O, but someone said Red, that could work also! Really cute rug with splash of lime! Your rug is great- I love the 'lime' and the dress is adorable! Adorable dress, V! Oh, I would go with a robins egg blue for the iron. CUTE! I am loving your little dress. I just got to figure out how to make it now. Im not too good with clothing. I think I'd paint the iron blue. i hope everything is okay in the christenson house!!! Love love that blue and green rug! Just bought a honey bun to make one in those colors. Thanks for all the great ideas and tutorials!! I like the dress! The color of yellow is so cheerful.